Setting the standards of professional beauty care for more than 70 years –SOTHYS is renowned for bringing advanced skin care and expertise to consumers exclusively through professional spas worldwide. This treatment is our solution to quench thirsty skin and combat dehydration. A combination of hyaluronic acid and patented Boletus extract reactivate the natural hydration levels to reveal a more youthful complexion. Moisturizing serums, ultra-nourishing massage cream and enveloping mask restore skins natural soft-ness and suppleness. A powerful restructuring treatment to address your anti-aging concerns including fine lines, wrinkles and loss of skin tone. A combination of highly concentrated active ingredients including collagen, hyaluronic and peptides work in synergy to help reduce the signs of aging. A specialized toning facial massage, smoothing anti-wrinkle serums and lifting mask restore your facial. This introductory facial suited for all skin types is designed to maintain a healthy, clear complexion. 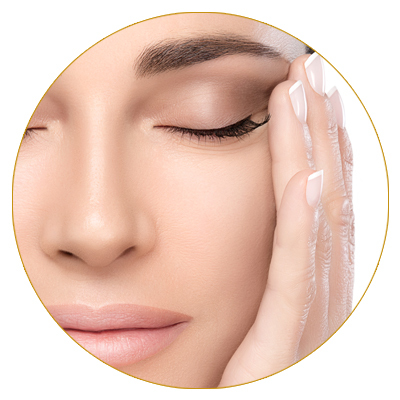 A customized selection of Sothys products addresses the current needs of your skin. Thorough cleansing followed by the application of an ampoule and treatment mask refresh the skin while a relaxing facial massage helps alleviate stress and provides a sense of wellness. An exfoliative technique that uses a scalpel at the surface of the skin to smooth and exfoliate and to remove fine hairs and dead skin. A gentle, yet effective dual-action exfoliation using an active combination of glysalac and salicylic acids to help lift away dead surface cells to reveal a clear even complexion. A quick fix for an immediate radiant glowing skin with a refined texture and fresh complexion. An essential pick me up customized to your skin’s needs. A gentle exfoliation prepares skin to receive the potent actives in the ampoule serum to give your skin a boost of vitality and radiance. A refreshing & anti-aging eye treatment with Vitamin and Hyaluronic enriched serum coupled with a relaxing eye massage using chilled porcelain spoons. Improve the appearance of dark circles.